Samsung has launched ‘the world’s first Wind-Free Room Air Conditioner & System Air Conditioner’ in India. The company says that the Wind Free Room AC range will be available for purchase at all leading retail outlets, although, it isn’t immediately clear whether that will also include online channels like, Amazon and Flipkart. The company also says that these are the world’s first ACs to pack an 8 Pole series and anti corrosion Durafin condenser that are especially designed for India’s harsh summers. They will be customizable with 1 Way Cassette, 4 Way Cassette & Mini 4 Way cassette as per the end user’s requirement, and will have starting price-tags ranging from Rs. 50,950 to Rs. 74,260, depending on the selected options. 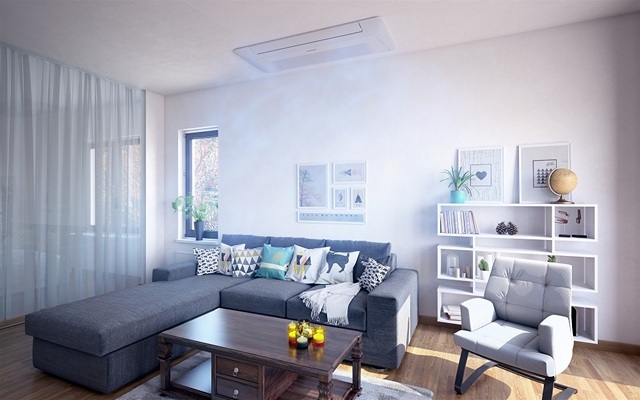 The ACs come with Samsung’s proprietary Wind-Free cooling technology, which the company claims can provide the comfort of of a cooler temperature without the discomfort of direct cold airflow. According to the company, this will be achieved by gently dispersing cold air through 9,000 to 21,000 micro air holes. The device will also reportedly reduce energy consumption by up to 72 percent by deploying “a two-step cooling system, which first lowers temperatures in ‘Fast Cooling Mode’ and then automatically switches to ‘Wind-Free Cooling Mode’, creating ‘still air’ once the desired temperature is achieved”.